Jillian Conrad always believed vampires weren’t real. But when she’s attacked by a desperate scientist, and injected with a serum meant to be a deadly poison against the undead, she realizes it’s all true. And when the scientist is shot dead in front of her, his secrets die with him. Declan Reyes hates vampires with all his heart—despite being half-vampire himself—and he knows the poison in Jillian’s veins could finally destroy the vampire king and his subjects. 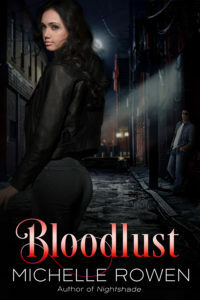 The serum makes her blood irresistible to all vampires—including Declan. One taste means death. Driven by duty to protect her, Declan pulls Jillian into his secret world of blood and battle. But what will Jillian do when she realizes his strong craving for her may be a different kind of hunger? 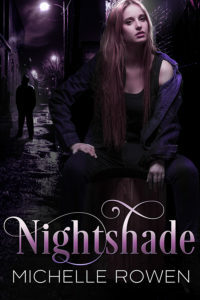 For vampires, Jillian Conrad is a fatal attraction. After being injected with a poison that made her blood both irresistible and deadly to the undead, she was used as a pawn to assassinate the vampire king. Now all vampires want her eliminated. Hunted and unable to return to her old life, Jillian desperately seeks to prevent the formula in her veins from ending her life. And she must find a way to help her dhampyr protector, Declan, whose exposure to the poison has split his personality into one part uncontrolled desire and one part emotionless killer. But an even greater danger is rising. A secret society of vampires searches for the infant daughter of the slain vampire king to complete their quest for true immortality. And if they succeed, will anyone—living or undead—escape the darkness?